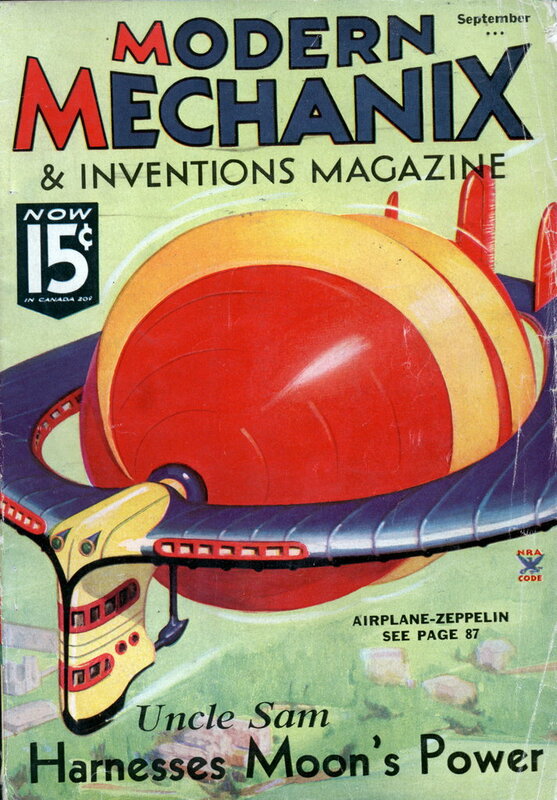 This reminds me of all those persistence of vision gadgets like clocks and hubcaps. DISPLAY advertising at night by means of a magic lantern suspended beneath an autogiro, with the rotating blades serving as a screen, is a German inventor’s latest medium for placing a product before the public eye. The magic lantern assembly is placed in a torpedo shaped carriage equipped with vertical and horizontal rudders to keep it in perfect alignment with the autogiro flying above. It can be raised or lowered by means of a cable, for focusing the advertiser’s message on the blades. When landing, the projector is drawn up into the fuselage. To insure perfect reproduction of the advertisement, the under sides of the rotor blades are specially treated. 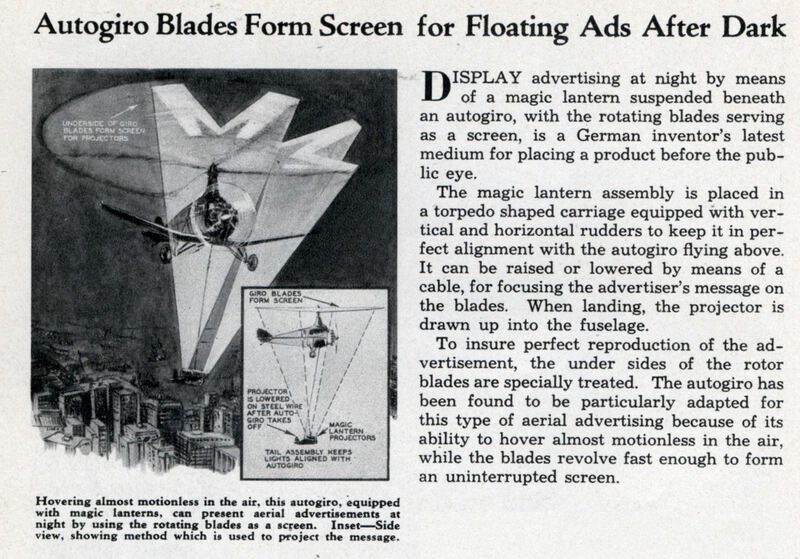 The autogiro has been found to be particularly adapted for this type of aerial advertising because of its ability to hover almost motionless in the air, while the blades revolve fast enough to form an uninterrupted screen.